Prime Barcode Solution is a leading company that provides customer-centric cost-effective automation solutions with a professional approach. The company hosts an array of products to satisfy a broad range of user needs. The emphasis is on problem solving and solution selling instead of box selling, with access to varied products and in-house team of professionals. Prime is engaged with entire range of BARCODE SCANNERS, RFID,BARCODE PRINTERS,READERS, Fake note detectors, Point of sale system, POS printer,Thermal Printer , CASHDRAWERS, POLE DISPLAY,NON TOUCH POS and TOUCH POS , ,BILLING MACHINESCASH REGISTERS and also provides industrial software for warehouse management,.BILLING PRINTERS..
All in ONE peripherals interagrity. Connectivity to secure cash drawer system. Compatibility with Compact flash, to operate without HDD (optional). Ruggedness for Harsh retail working environment - Retail Hardened POS PC motherboard. 24 hours duty cycle – reliability. Service and spares availability for long term. 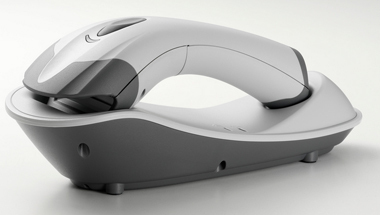 Scalability for connecting additional POS & Other barcode peripherals. Prime Barcode Solution took a modest start in 2006, with a strong will to provide the very best to the customer which is cost-effective, scalable and customer-driven in the field of Auto Identification, POS and Data Capture AIDC Systems. Here, the modern machines with advanced technology and specifications attend to the growing needs of the every growing customer base. Strategic alliances with global leaders like, POSILFEX POS,EPSON,SYMBOL,HONEYWELL,MOTOROLA etc. , have strengthened the company to forge ahead with renewed confidence and vigor.